The number of children with gambling problems has quadrupled to over 50,000 in the past two years. Recent research carried out has shown that these numbers are on the incline and the ease of access to gambling for minors has increased the chances of addiction. Matt Serlin, a Families Counsellor at Action on Addiction commented that gambling can be very traumatic, frightening and confusing for families. He went on to say that because a child has gambled is does not mean they are going to become addicted. Unusual interest in sports scores, newspapers, magazines, etc. 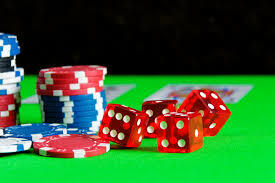 gambling addiction, gambling help, Gambling support. Bookmark. Interesting, informative, challenging and addictive. A brilliant introduction by Martine. everyone needs to experience this. I had been suffering for weeks with sciatica and could hardly walk. I had acupuncture and could hardly believe the results, I was pain-free. Acupuncture really helped me with exhaustion and stress. Acupuncture had a big impact on my energy levels. Thank you for helping me become a much calmer person. I see things differently and look at life in a new way. The course is life changing. I am much more in tune with myself. My relaxation session was just fantastic! You are completely free to think of what makes you feel secure and comfortable. From this point on, you just need to be carried by your thoughts. The course is informative and fun. Whether you are spiritual or not you will learn so much.